What a travesty, what a big shot (no pun intended), who can kill a sleeping/hibernating animal...like taking candy from a baby! signed with comments shared posted on all timelines. Ty Animae This isn't hunting! It's unfair and cold-blooded murder! Signed. Thanks dear Animae for sharing. 36,137 have signed. Let’s get to 50,000! Thank you Animae. Alaska as a state is terrible example of resouce, nature management. So many more people come to see the beauty of Alaska, including the creatures. There is SOOO much more $$$ in tourism. 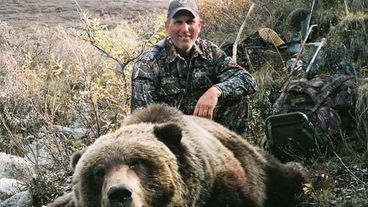 Trophy hunting is deep insecurity and especially in this way. This is truly a sin against nature.